TravelKit has a well-crafted collection of purpose oriented features and extensions to build an all-inclusive tourism site. It can host and show detailed tour packages along with every other relevant stuff. Unified search to find tour packages, hotels, flights etc. Hotel listing, booking and details. Creating sliders and photo galleries. Rich documentations and dedicated support. 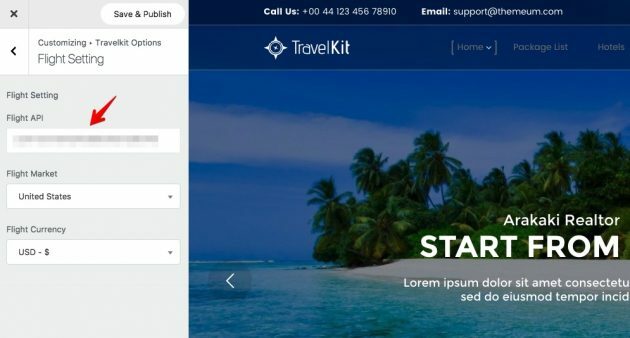 TravelKit is built on the widely popular Bootstrap 3 front-end framework which makes it a fully responsive and mobile ready theme. A site developed with TravelKit will perfectly fit any screen size whether it’s a desktop, notebook or a mobile device. The theme comes with lots of customization options. Bootstrap’s grid based structure makes the total package flexible and natively compatible with all platforms. 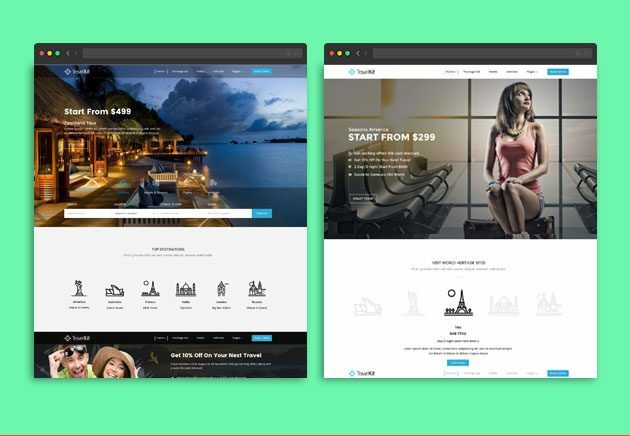 TravelKit has 5 homepage variations offering a handful of options to launch a site with your desired design. Each of the pre-designed layouts has a well-planned element arrangement which can be further tweaked based on your unique needs. Here are the screenshots of the variation 1 and 2. All homepage variations contain an elegant top section. Variation number 1, 2, 3 and 5 have sliders on the top. Demo 1, 2 and 3 feature the unified tour package searching system immediately after the top slider. Check the screenshots of the variation 3 and 5 below. If you don’t want to offer the unified search feature on the frontpage (or probably at all), the 5th homepage variation is a ready to use option. This layout beautifully shows every other content (except the search box) related to your travel agency. Again, all of the layout elements can be rearranged easily. You can add/remove an element using Visual Composer which is utilized to create the layouts. The top menu bar is by default similar in all 5 TravelKit variations. But you can customize its look and feel using TravelKit Options from the WordPress customizer page. You can add an additional bar to the top of the menu bar. The whole header can be made transparent or solid as you wish. There are many other tweaks for the header portion like making it sticky, adding social profile links to it and more. TravelKit has several custom post types to add information about hotels, vehicles, transport schedules and tour packages. You can offer detailed information like hotel descriptions, photographs, accommodation facilities, fares etc. If your travel agency offers transportation service, you can also list your available vehicles on your site. Customers can book and schedule vehicles per their requirements. Finally, you can combine all of your tourism related facilities and create packages so that customers can check and purchase them for simpler travelling experience. TravelKit has a third-party API integration that brings real-time flight information and schedules directly on your tourism site. It also offers a flight booking system on your site. 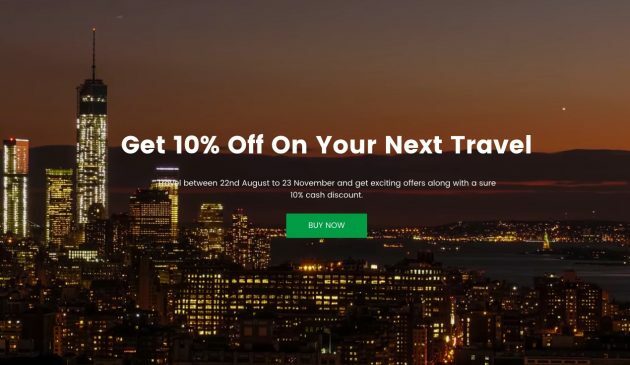 TravelKit will handle the payment and checkout related stuff seamlessly. One of the major attractions of TravelKit is its centralized search mechanism. The Themeum dev team has integrated the system with the theme which you can implement on any page using a Visual Composer shortcode. It lets a visitor search hotels, vehicles, flights and tour packages with numerous filters and conditions. This search system will make trips very easy. TravelKit’s pre-built layouts show some beautiful examples of featured areas that will impress the visitors. 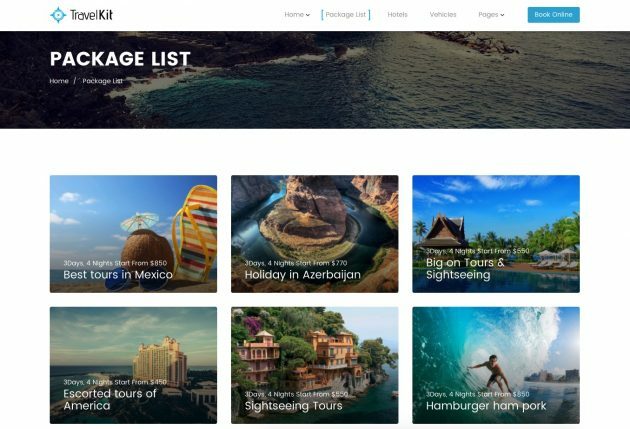 These sections can display page elements like call-to-actions, tour package collections, top destinations, blog posts, photo galleries, email subscription box etc. There are lots of customization options in all of these featured areas so you can format texts, adjust padding-margin, customize backgrounds and so on using Visual Composer. 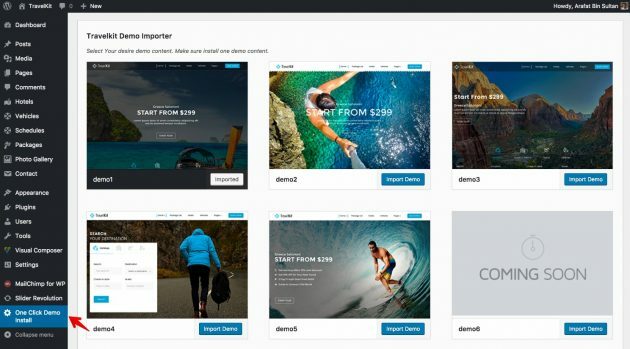 Popular drag-and-drop WordPress page builder plugin Visual Composer is pre-packaged with TravelKit. Visual Composer is a paid plugin which costs $34, but you get it absolutely for free with TravelKit. 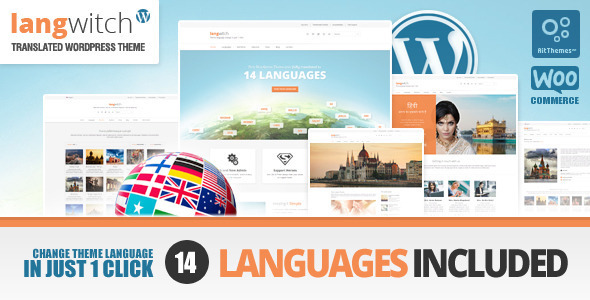 The plugin empowers you to create a complete WordPress site without coding at all. It offers both backend and frontend editing functionalities that help you launch a content-rich website in very short time. Custom Visual Composer elements (shortcodes) make site development insanely easy. TravelKit has 18 custom VC shortcodes to display contents on pages. TravelKit comes with a host of theme options to control the theme features. ‘TravelKit Options’ are accessible from the native WordPress customizer panel. 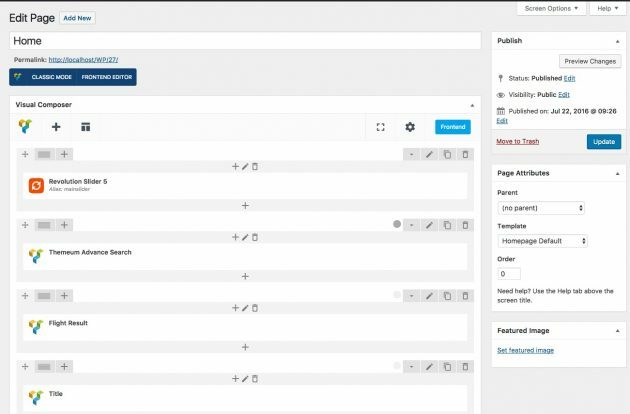 Changes are previewed instantly as you customize the site appearance on this panel. Theme options include header/footer settings, tour package settings, flight data API settings, currency settings and more. 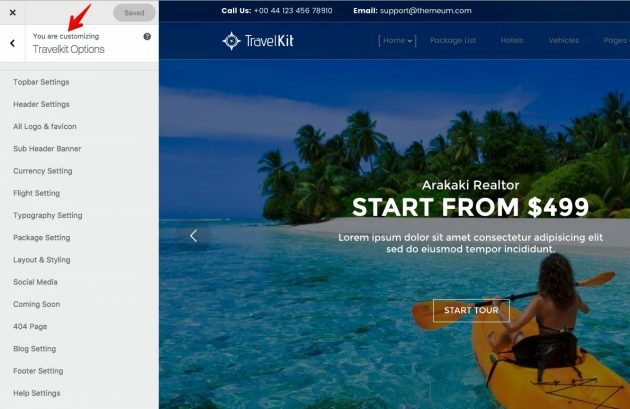 Like many other Themeum themes, TravelKit also has the one-click demo importer functionality which is found on the below-left side on the WordPress dashboard. If you want to play with the demo contents and built-in layouts, you may like to import the demo contents on your localhost. Remember, demo contents are not licensed to use on live websites. These are provided for demonstration purpose only. TravelKit has 7 recommended plugins that are required to make the theme function as described. 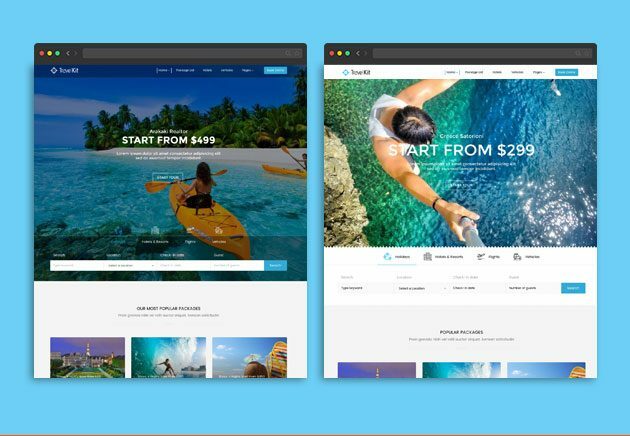 Visual Composer and Slider Revolution are premium plugins provided for free with TravelKit. Other companion plugins are Contact Form 7, MailChimp, Themeum Core, Themeum Demo Importer and Widget Data – Setting Import/Export Plugin. A multilingual travel site can play a vital role in attracting tourists and travellers from different parts of the world. TravelKit supports translations & RTL. So one can launch a multilingual tourism site using this theme with minimum efforts. TravelKit has both offline and online documentations. The theme download bundle contains an offline documentation, while you can access the online doc visiting this the Themeum Documentations portal. Themeum provides 6 months tech support for paid themes. Support area includes assistance in installing, using and troubleshooting possible theme issues. TravelKit price is only $59. 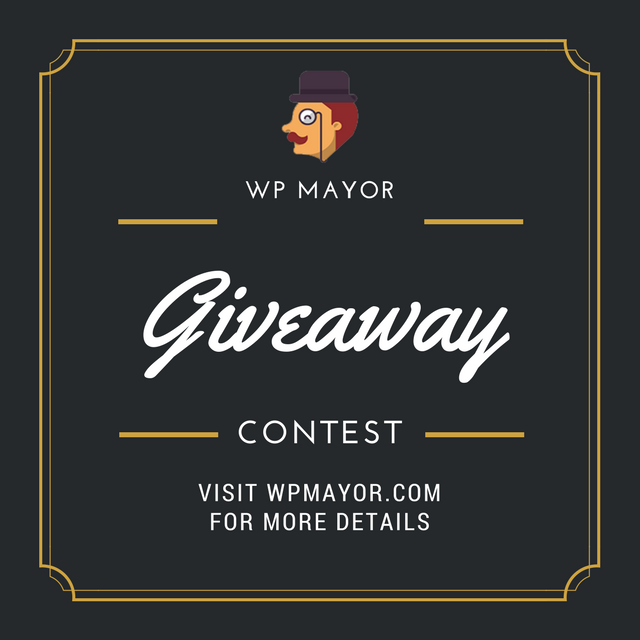 The theme package includes two premium plugins (Visual Composer $34 and Slider Revolution $19). You can purchase TravelKit or view demos here. 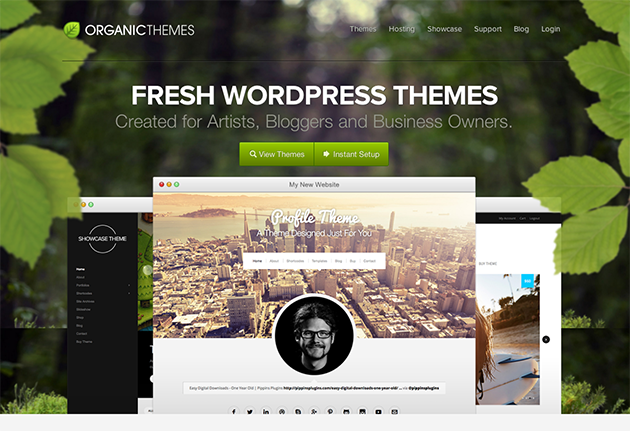 Themeum is a renowned WordPress theme developer. The company is an Elite member of ThemeForest. Visit themeum.com to see the amazing free and premium themes by Themeum.